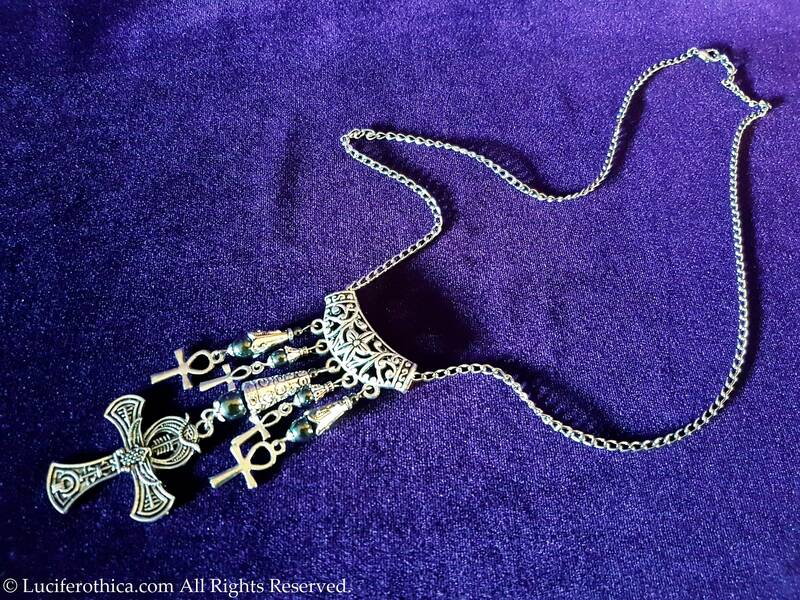 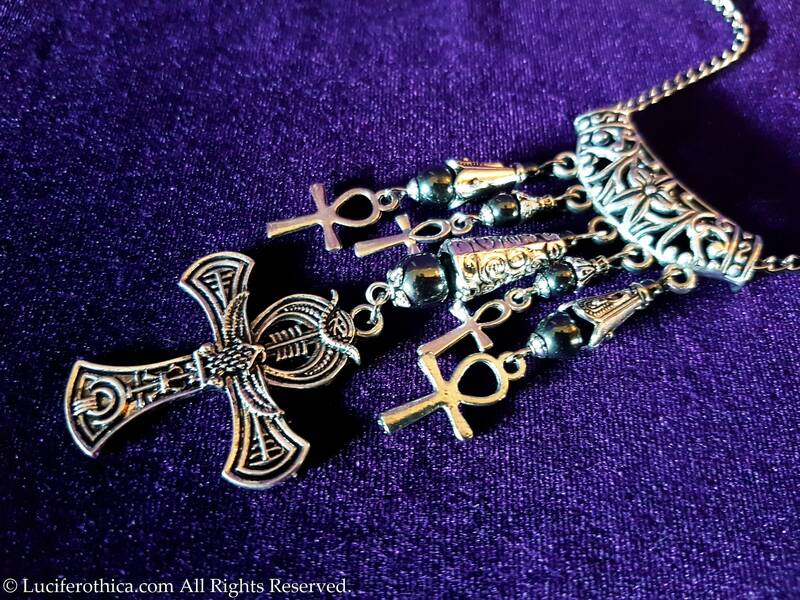 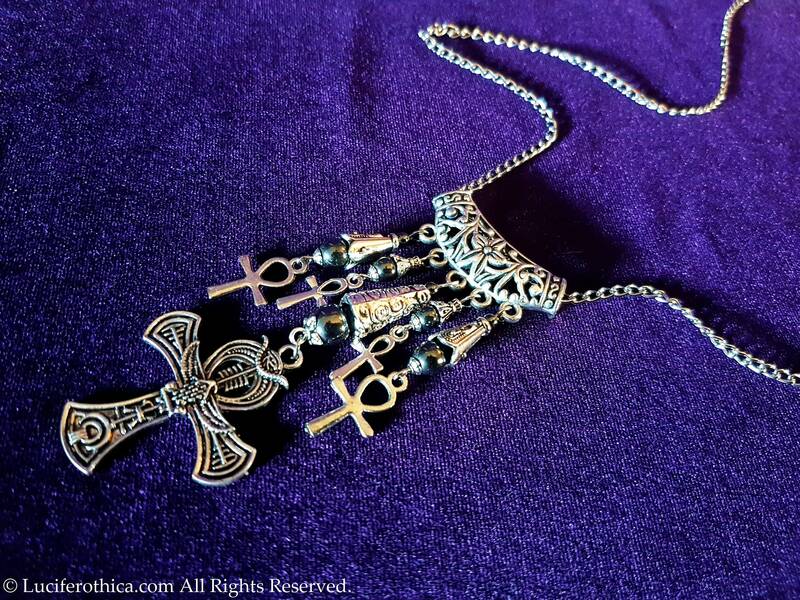 Detailed necklace decorated with small ankh symbols. 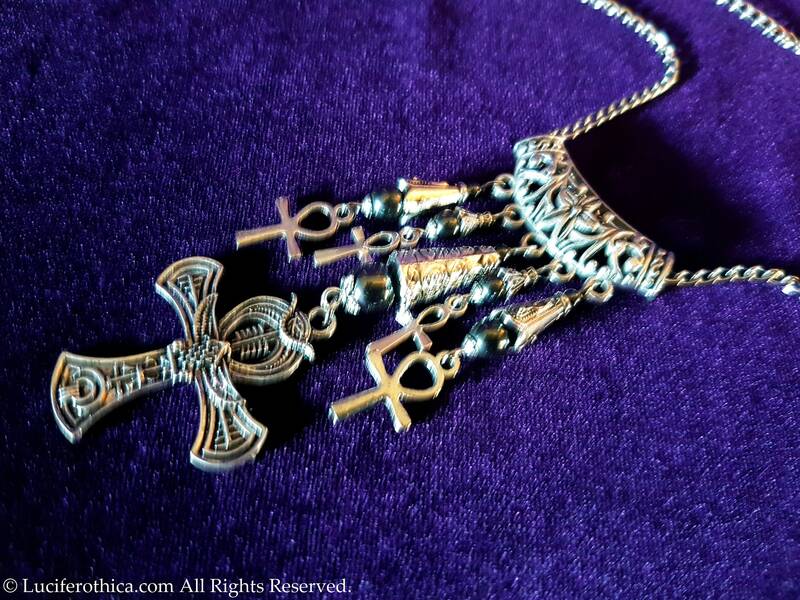 - Lots of hematite gemstone beads. 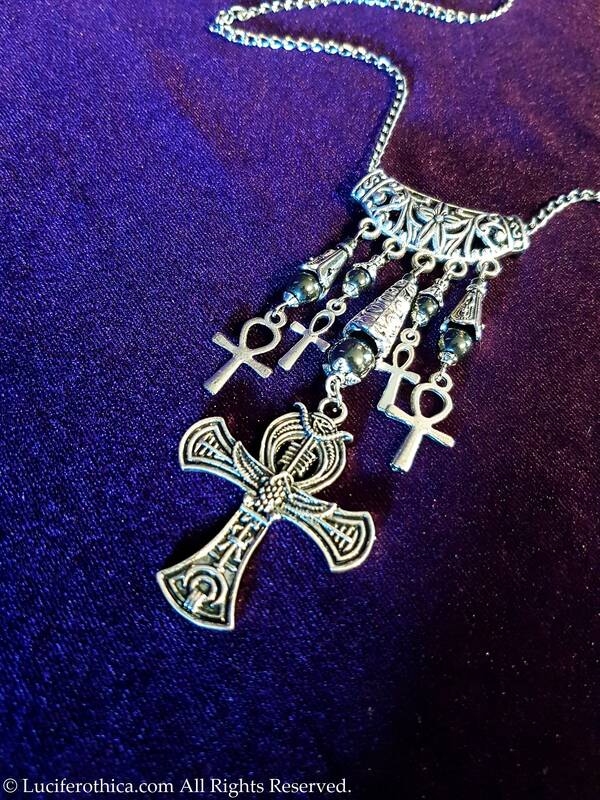 - 56cm long silver colour chain.